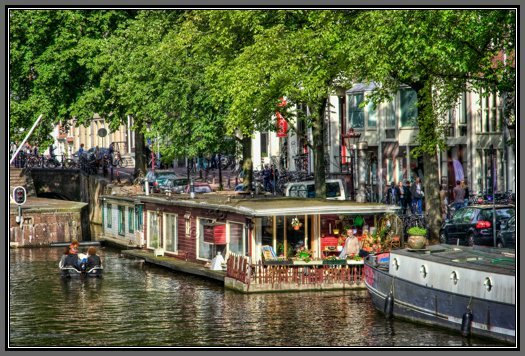 A beautifully portrayed, intimate scene showing a houseboat on one of Amsterdam's city-centre canals. The owner has done a great job in bringing nature into his living space, with flowers in trays and hanging baskets. What a delightful place to live - especially when it's sunny as it is in this photo. Amsterdam 2012.